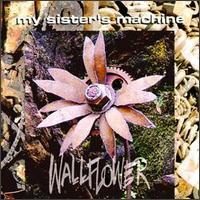 My Sister's Machine were formed in Seattle in 1990, at a time when the grunge movement was gaining strength. Because they fit into the genre relatively well, they quickly found a major label (Caroline) to sign to, before releasing their debut album, Diva in 1992, which, despite the demand for everything grunge at the time, did not sell well. They moved to Chameleon soon after, releasing another commercially-unsuccessful album, Wallflower in 1993. This was to be their last, however, and they split up in 1994.